Having parents who were friends of Elvis & the “Elvis Mafia” is exciting enough, but on a first meeting with Elvis and spitting up all over him, would be a nerve wracking experience! - Unless you were a baby - William was 8 months old when this happened to him! 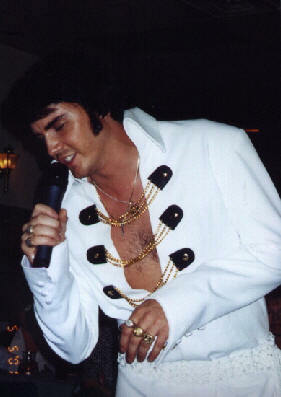 Who would have known he’d grow up to have a haunting vocal resemblance to the King! William’s dad, a PHD in music, taught him how to sing at a young age. 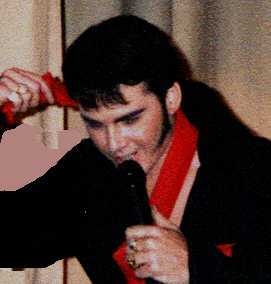 Growing up surrounded by the love of Elvis music was a great influence on his career, and having audiences astounded by the powerful quality of his voice, made it a must to become a true ETA. William served in the US army and was stationed at the same base in Germany where Elvis had served - coincidence? His manager and founder of EEN & Flash Entertainment Productions, thought maybe - until he auditioned him - No coincidence - William Stiles sings in the style of Elvis - from his soul, humbly, with respect for the one and only EP.